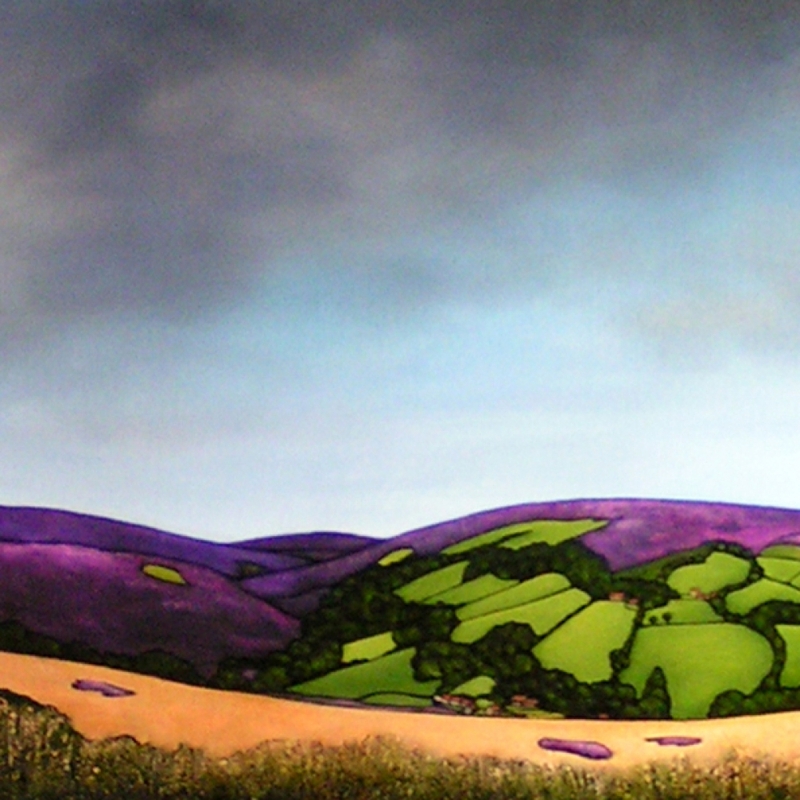 Clothylde has been living and painting in North Yorkshire for over 30 years and regularly exhibits in local galleries. Her paintings are personal and stylised interpretations, inspired conceptually by Paul Klee's notion of "taking a line for a walk", and in practise by her experience of stained glass design, whereby colours are contained by defined boundaries. Her work focuses on landscapes between Whitby and Loftus, whether the open and empty stretches of moors or the crowded semi-symbiotic relationship of cottages and sea on the coast. Her oil paintings evolve from quick outdoor sketches and elaborated in her studio.